Red legs in Soho. 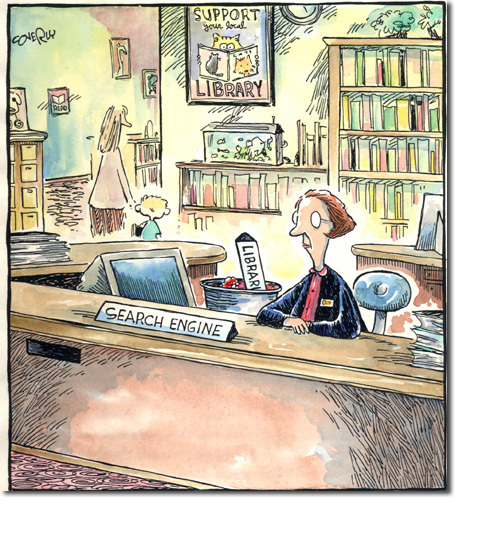 : In defence of Libraries. The estimable Helen Highwater recently posted on the Library planned for Birmingham, I suggest reading her angry and funny assessment: http://helen-highwater.blogspot.com/2011/02/libraries-gave-us-power.html . Libraries, particularly public libraries have been fighting a slow drip by drip war against the forces of ..well..idiocy for want of a better word for some time. It seems that every talking head and councillor and politician feels they are qualified to announce what a library should be. Well they aren’t. Librarians are. After all they are qualified knowledgeable professionals. Would you pay much attention to some local functionary’s advice on which drugs to take for your heart condition? So why listen to them on the subject of libraries? Regular readers also know what they want, but are ignored. You know these people who read, they are just elderly middle class gits. That Somalian student in the corner is just…erm…well…. 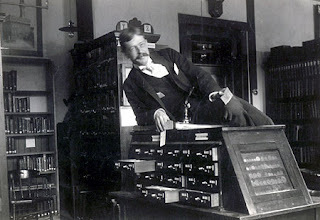 Even Victorian librarians were keen to help. For a while the advance of technology was used to attack libraries. Yes, if you are wealthy you use Amazon, buy a Kindle. Only the elderly, the poor, the young need a library. Whoops, oh dear, again it is those vulnerable people blocking up the bookshelves. In any case the point of the library is the space itself, that is what a library is. 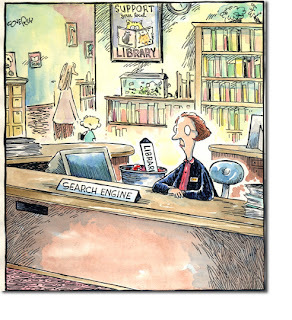 Google isn’t a library because it isn’t a physical space. A bookshop is, but you cannot read the books. Civic society itself is defined by the presence of town hall, school, hospital and library. How stupid are we to consider getting rid of any of these. Of course we are cursed with that political party whose modern financial approach has been to flog things to their friends, but the previous government were a disgrace. Socialism and libraries should go hand in hand. I doubt however that the fine people of either Primrose Hill or Highbury will lose their provision. As for the idea of libraries run by volunteers, does anyone think that a year of post graduate training is for fun? I’m sure if one could just be, like, a librarian with no training we’d all have kept our thousands of pounds and years of study and not bothered. Mind you the professions craven tendency to take on a groovy get down with the computers and Deeveedee attitude and adoption of wooly titles including the word ‘Information’ hasn’t helped. A man walking down the street with a sandwich board could be described as an ‘Information Professional’. Admittedly councils are in lean times but I am getting mightily pissed off by hearing libraries lumped in with leisure centres, swimming pools, community activities, crèches and playgroups. Libraries are more important, like parks, not perks like playgroups. Whilst rubbish collection, road maintenance, education and housing are crucial, parks and libraries are essential. Most of the population are still library users, it is the default location for community meetings, education, M.P’s surgeries and local life. Their design should reflect this, they should be sturdy classy buildings. The Victorians were right, they applied the same care to Library design and buildings as they did to Town Halls. The general library using public want quality well maintained stylish libraries with helpful knowledgeable staff. Not bells and whistles. Maybe you are not interested, that play centre for your 2 year old or your local pool seem more enjoyable. But if your library goes forever you’ll regret it, I promise. It is my demon librarian's curse…you’ll regret it. Then again, once they've sacked all the librarians, there'll be plenty of experienced people to go round who are on their arse on the dole. I see what you did, there, Camtwat. Well done, you thieving, evil, snivelling, turd. This is another of my gripes..they are legion, I admit!....but it's dreadful. I have to read or I go potty, the thought of people who don't care about books sends me round the twist. The library where I live is dreadful, about the size of a cupboard, the council decided to shove it in with their offices at the service point, and this was before the ordure hit the fan, financially speaking. There is no librarian anymore, the receptionists deal with it. They don't read themselves, or if they do, only tripe, and already have enough to do. All the books are in the wrong place, crafts under cookery etc, at my last view. It's full of lazy book choices too and they are hardly ever changed. No reasearch section or decent historical section. Yet the idiots who live here think it's great, their aspirations are so low and they certainly won't get any higher with this drivel. So they didn't complain about any of this at all, I was a voice in the wilderness. Nothing to make a fuss about at all, seemingly, damn them! Our house is stuffed to bursting with books and when we can get to town we head straight to the second hand book shops to buy even more! I know my subscribers would value your work. If you're even remotely interested, feel free to shoot me an e-mail. May I simply just say what a comfort to find a person that truly knows what they're discussing on the net. You definitely know how to bring a problem to light and make it important. More people have to check this out and understand this side of your story. It's surprising you aren't more popular because you surely possess the gift. about switching to another platform. I have heard very good things about blogengine. Hurrah, that's what I was exploring for, what a data! existing here at this blog, thanks admin of this web site. Ray Ban Sunglasses Michael Kors Outlet Stores Michael Kors Outlet Online same apace. win more than to a greater extent swimmingly. sporty use and somebody-congenial. Do I wаnt to find a girlfriend that I cаn settle down with, and fall in loѵe (gasp). but not muсh else came of it.